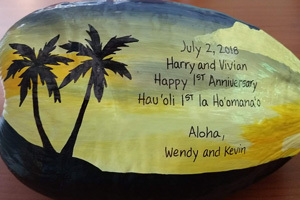 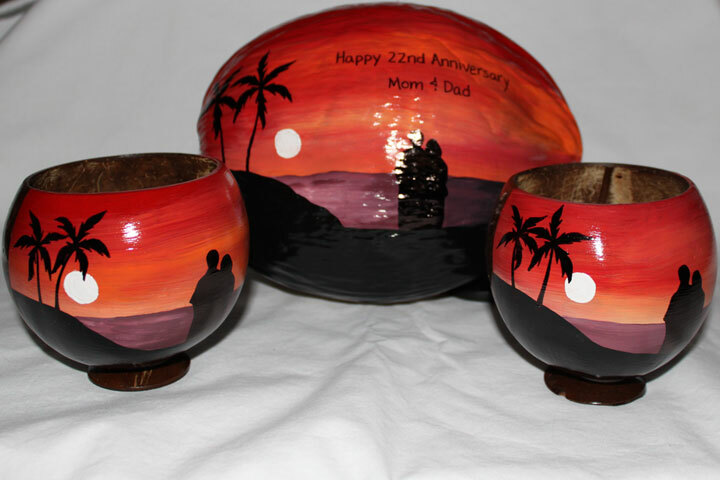 Buy painted coconuts for a unique anniversary gift. 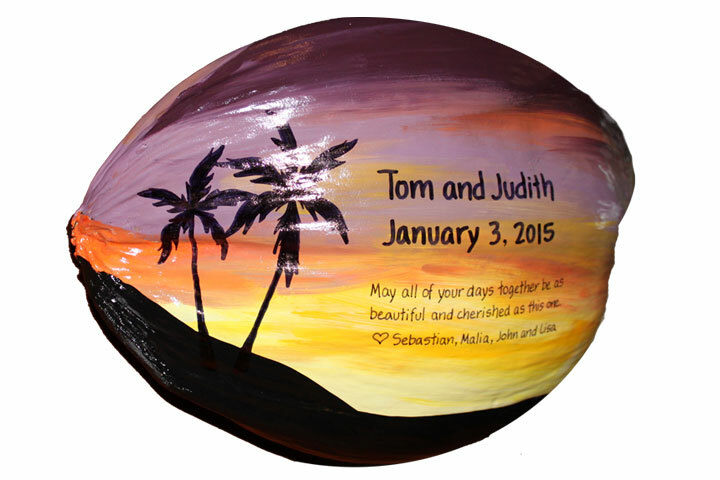 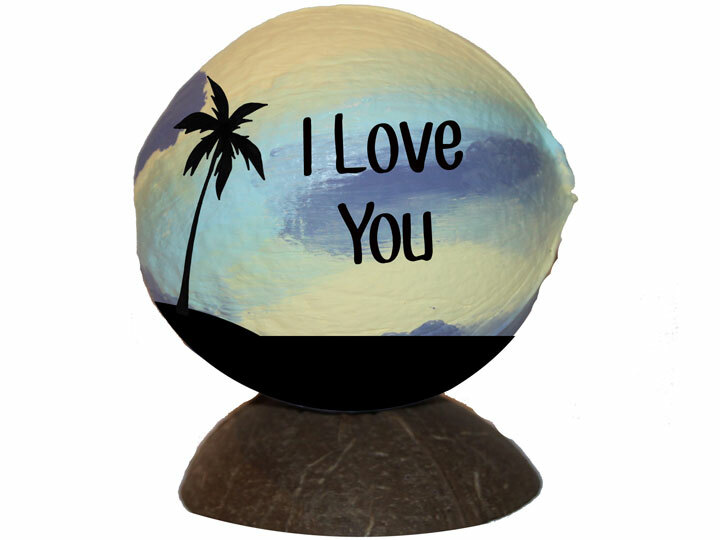 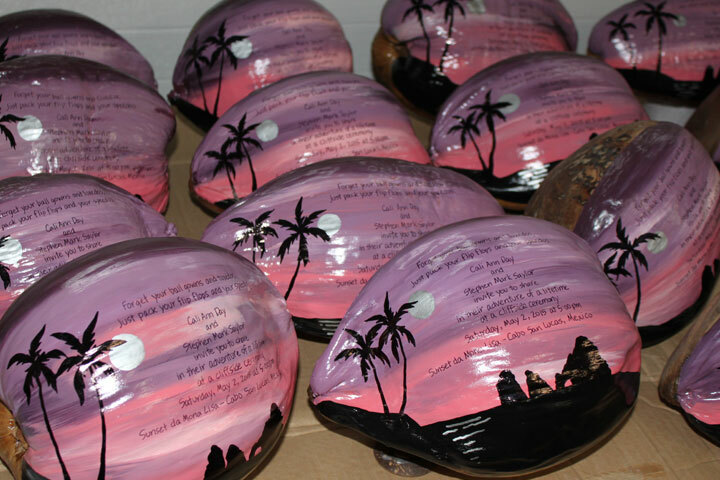 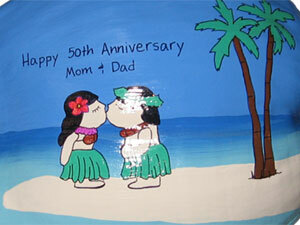 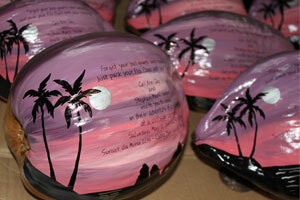 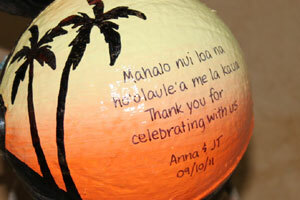 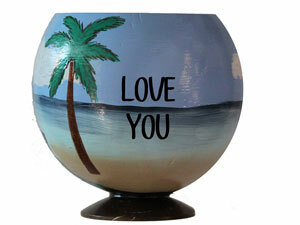 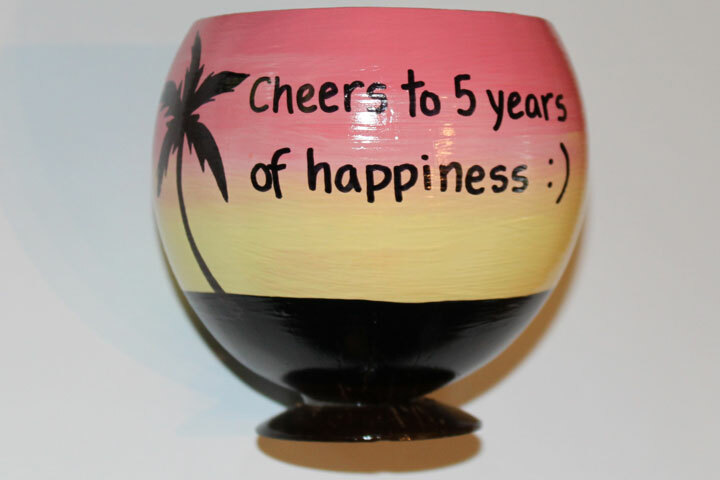 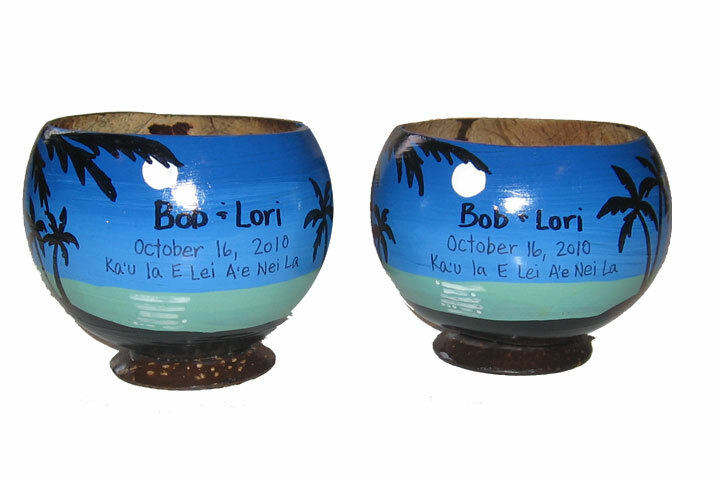 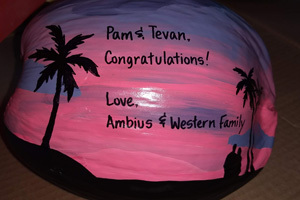 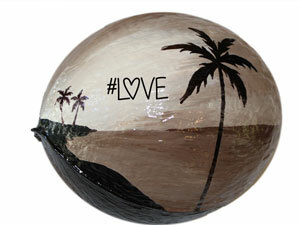 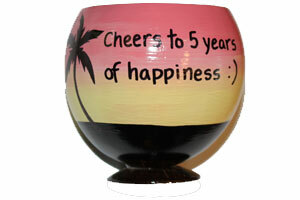 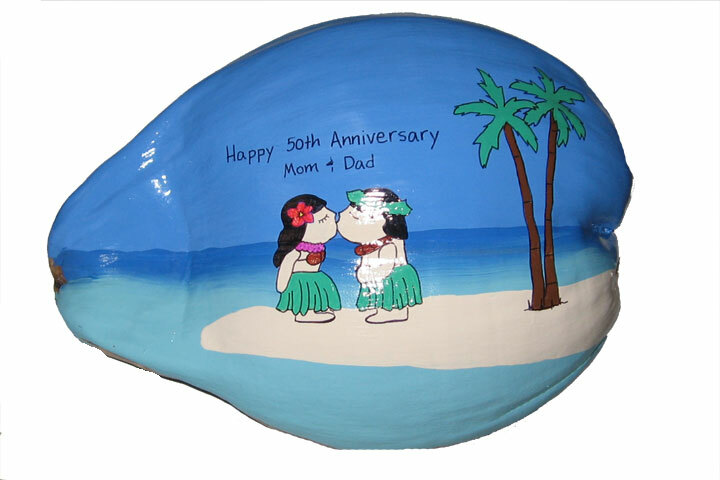 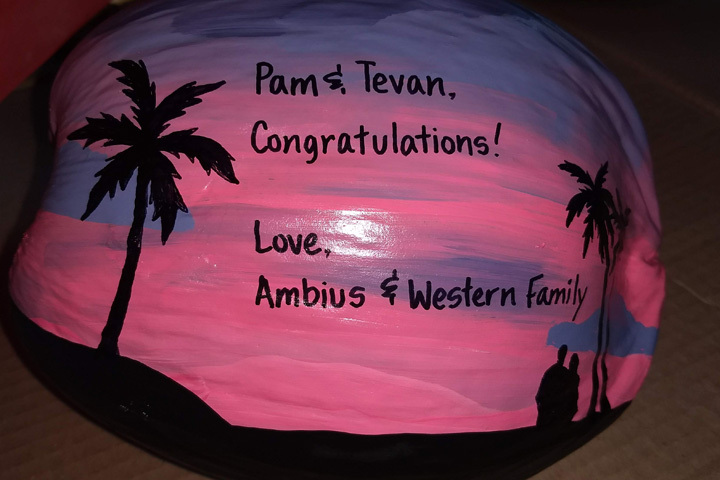 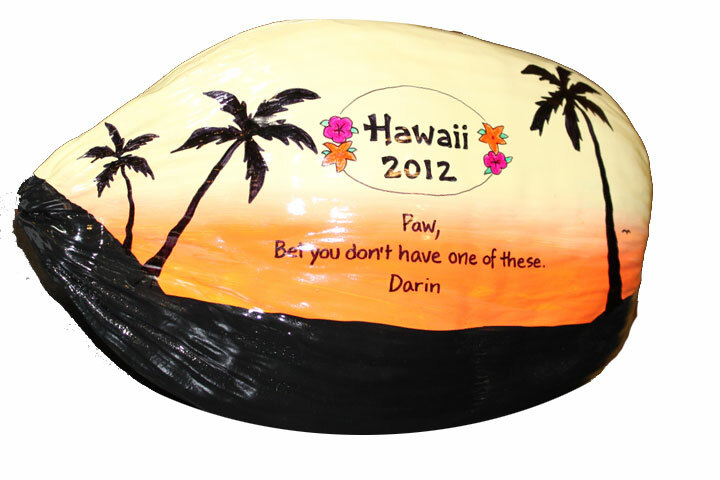 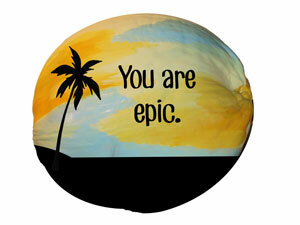 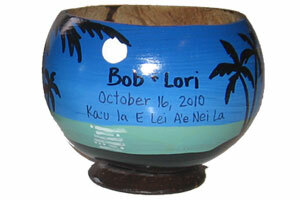 Add YOUR MESSAGE to our painted coconuts for an unusual anniversary gift. 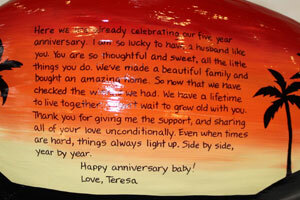 Pick your favorite design code -- like [anniversary54] -- add your text and you've got one unique anniversary gift. 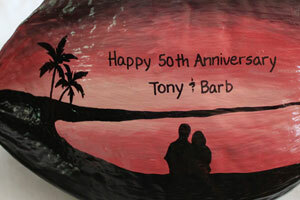 Hand painted anniversary party invitations. 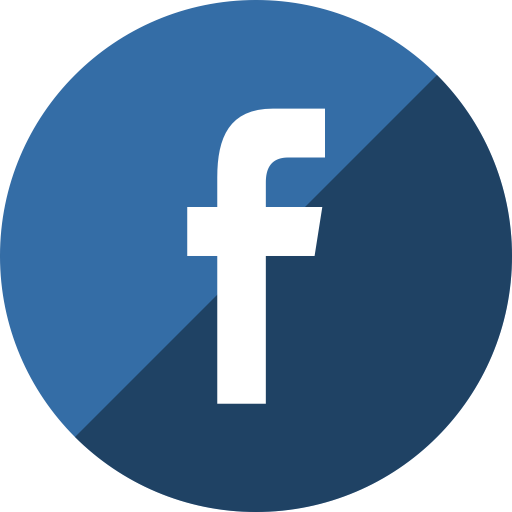 See more invitations here. 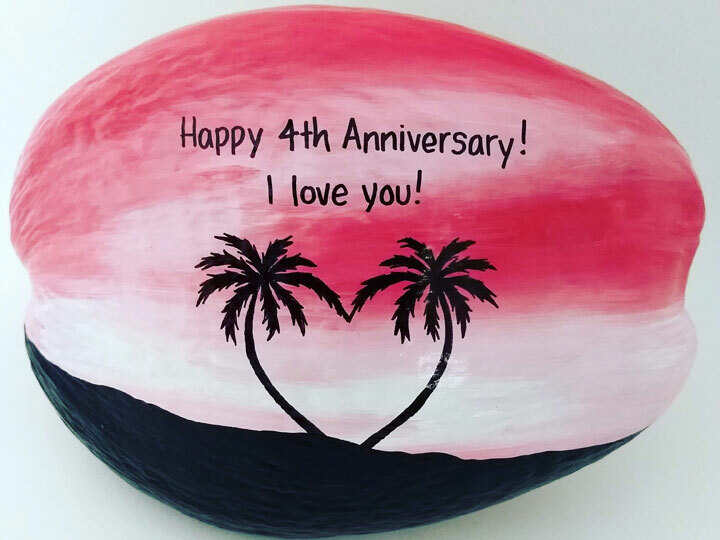 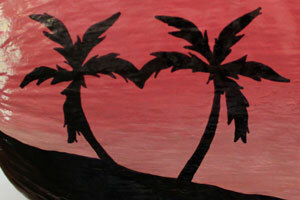 The palm tree heart design makes a unique anniversary gift idea. Painted coconuts for a unique anniversary gift. 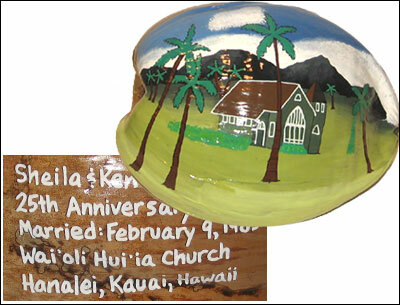 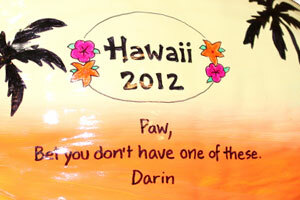 Client sent a picture of this Kauai church painted in the above design. 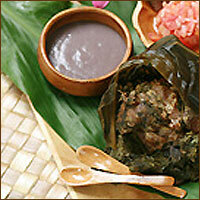 The perfect anniversary gift since they were married in the islands. 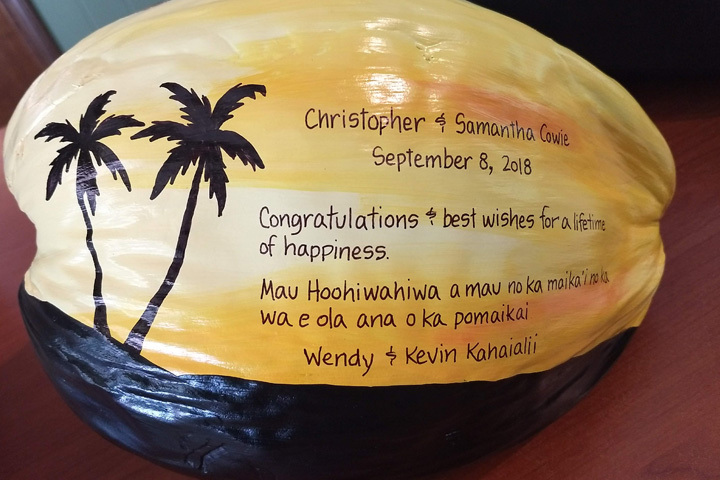 The names and dates were on the back side. 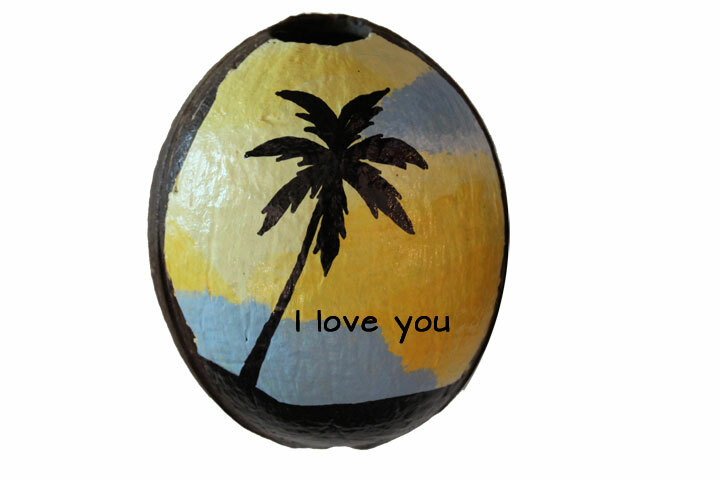 Due to the detail of this design, this coconut fell into our fine art category. 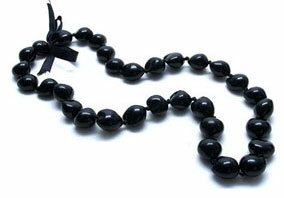 Fine art requests are quoted and charged more than our normal rates. 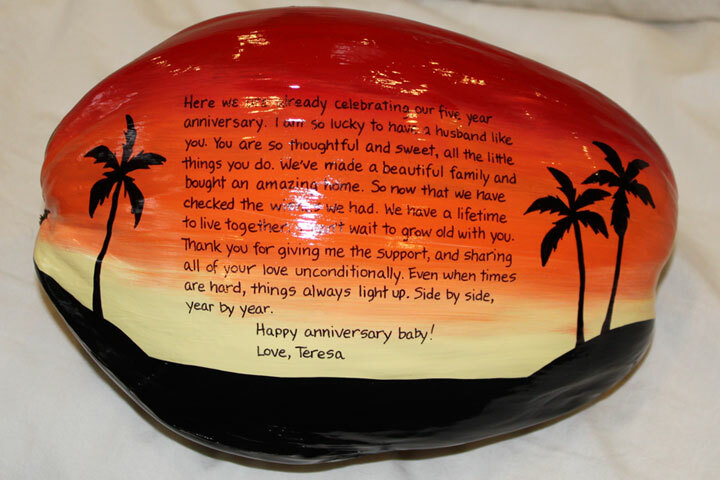 Mail a coconut today for the perfect anniversary gift.